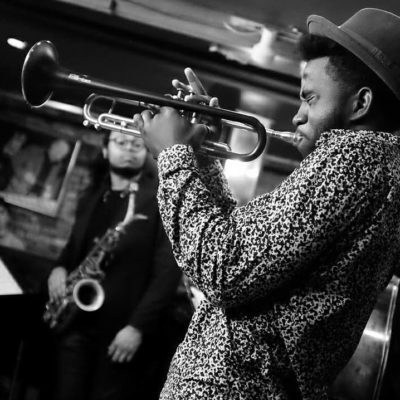 Still a student at Juilliard, Giveton Gelin just finished a weeklong residency with Jon Batiste at the venerable Village Vanguard in NYC. 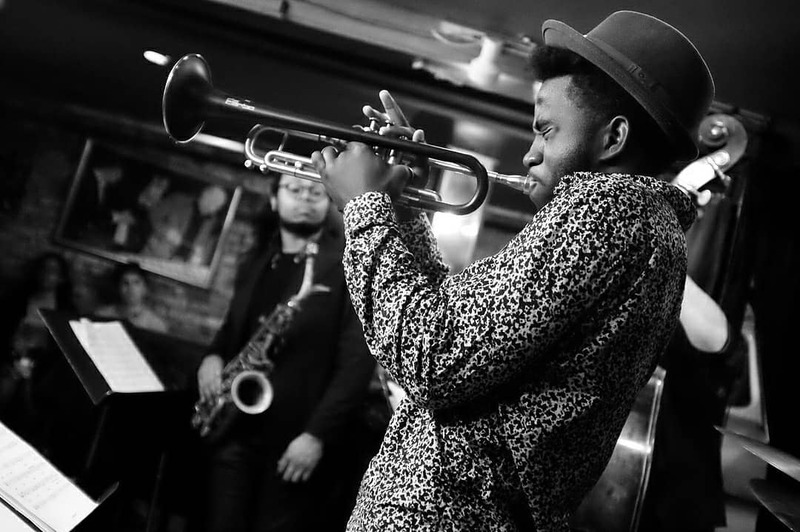 Giveton played the Roy Hargrove tribute concert at the famed Jazz Gallery in New York just weeks after Roy unexpectedly passed away. 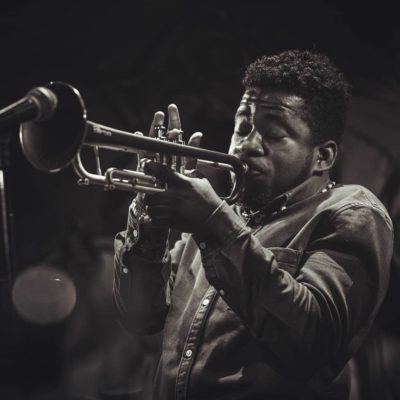 Growing up in the Bahamas, which had no environment for jazz training, Giveton trained himself on the trumpet, emulating what inspired him on his favorite records. His prodigious musical talents landed him at the prestigious Oberlin Conservatory (studying with Eddie Henderson) and the top position at both the Young Arts Foundation and the Betty Carter Jazz Ahead Program. After one year he moved to Juilliard in New York. 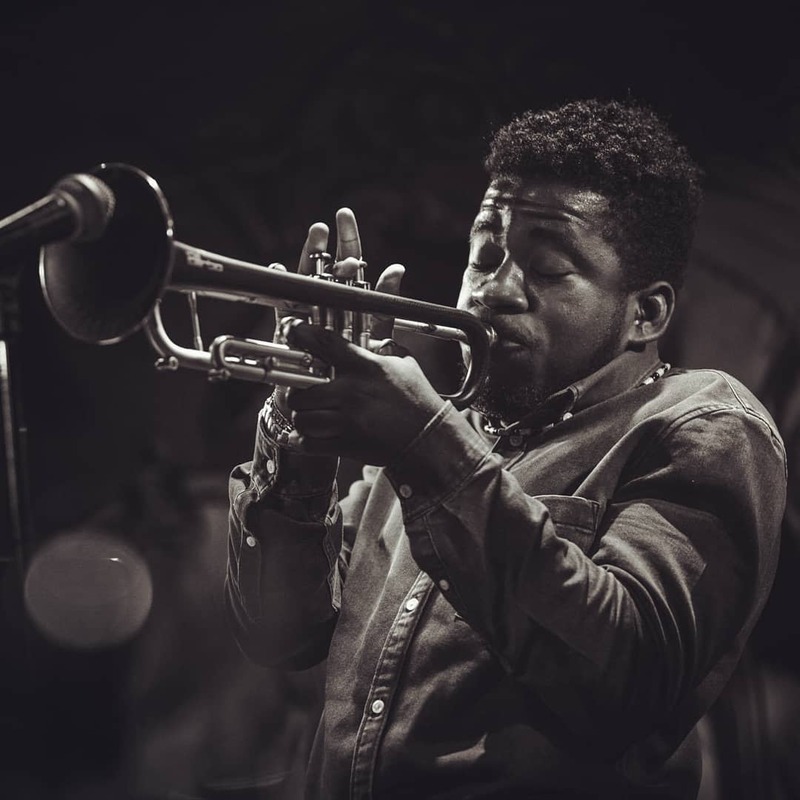 He has been mentored by some of the world’s greatest jazz musicians including Wynton Marsalis, Jason Moran and Roy Hargrove. Giveton now leads his own Quintet which hits the top jazz stages in New York City and beyond. Giveton’s vision is grounded in the past and future: paying tribute to his ancestors and bringing forth his own unique narrative to jazz, which for him uplifts and unifies his audiences by incorporating core human qualities into sound. Giventon’s music is driven by heart, and it abounds with it. Audiences were moved by his performances with Batiste at the Vanguard! Quintet includes: Giveton Gelin (trumpet), Kyle Benford (drums), Immanuel Wilkins (sax), Micah Thomas (keys), and Phillip Norris (bass). CLICK HERE TO LISTEN TO GIVETON GELIN’S MUSIC!